DSA highway code testing app. 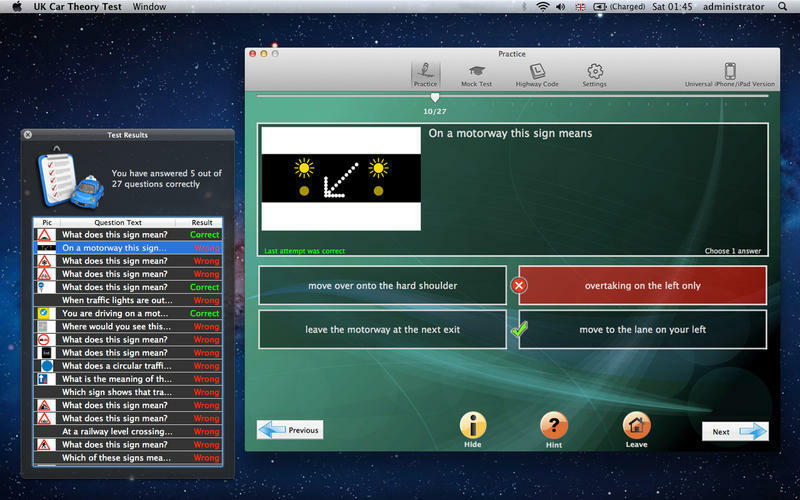 Is there a better alternative to Driving Theory Test? 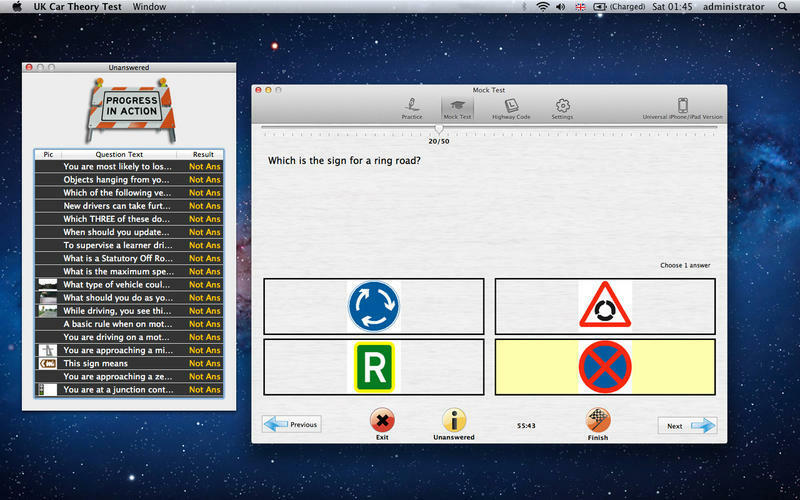 Is Driving Theory Test really the best app in Teaching Tools category? 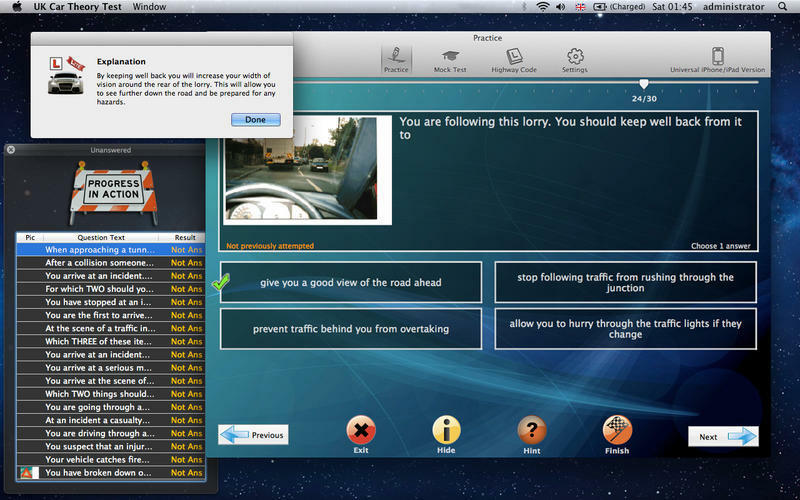 Will Driving Theory Test work good on macOS 10.13.4? Driving Theory Test (UK) uses the Latest Official DvSA highway code revision question data bank in an intuitive, powerful way and is one of the most flexible applications on the market. Revise multiple topics at the same time! Choose how many times you want to see the questions already answered in previous sessions! Driving Theory Test needs a review. Be the first to review this app and get the discussion started! Driving Theory Test needs a rating. Be the first to rate this app and get the discussion started! MAC-friendly. 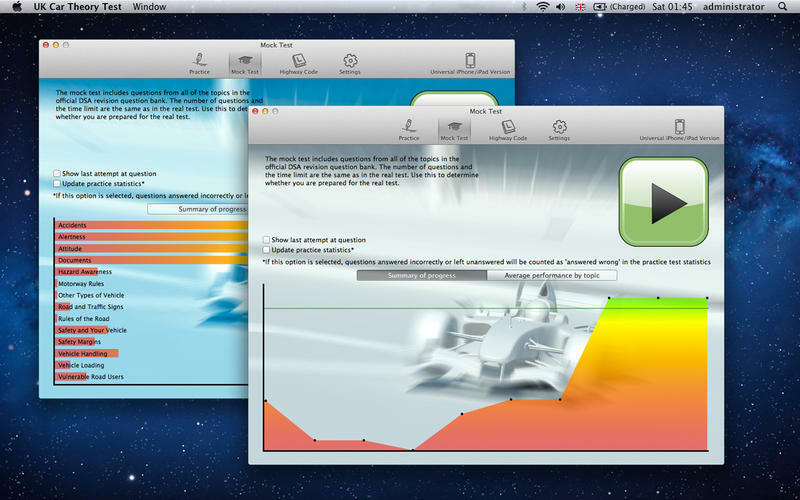 Unlike other driving theory test applications Driving Theory Test is Designed for OS X. Driving Theory Test intelligently takes into account which questions have been previously answered incorrectly!